Capt. 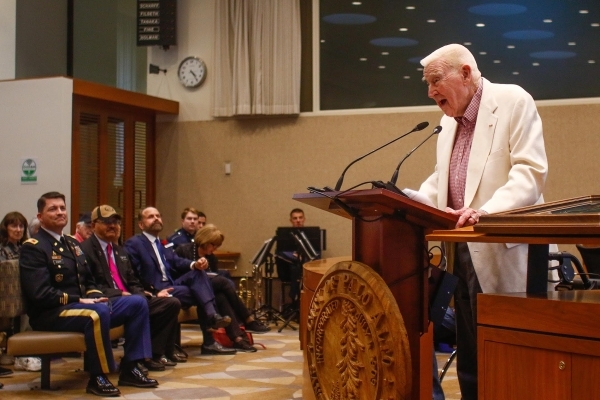 Joe Graham, who served in the U.S. Army in World War II in the 781st Tank Battalion, shares his experiences from the war during a Veterans Day recognition event on Nov. 6, 2017. Photo by Veronica Weber.